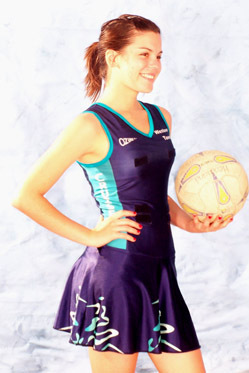 We have a netball bodysuit to suit everyone's budget. Our designs come with a round or v neck. 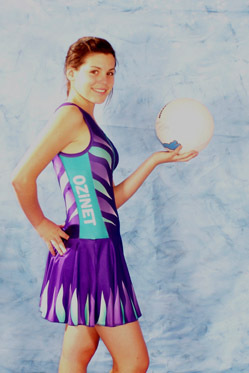 Ozinet Performance Wear make our netball bodysuits from the best quality polyester and nylon lycras. 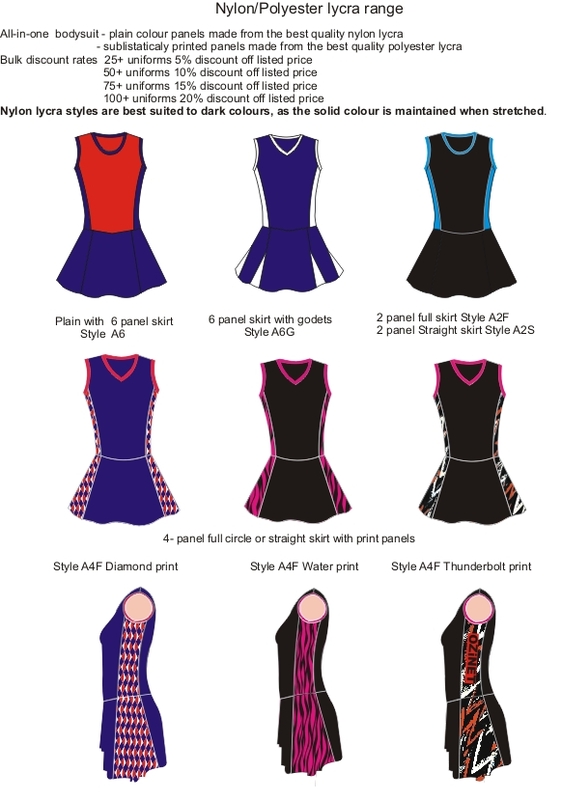 We always have the players comfort in mind, to ensure this we have always provided the option for extra length in all our netball bodysuit sizes. 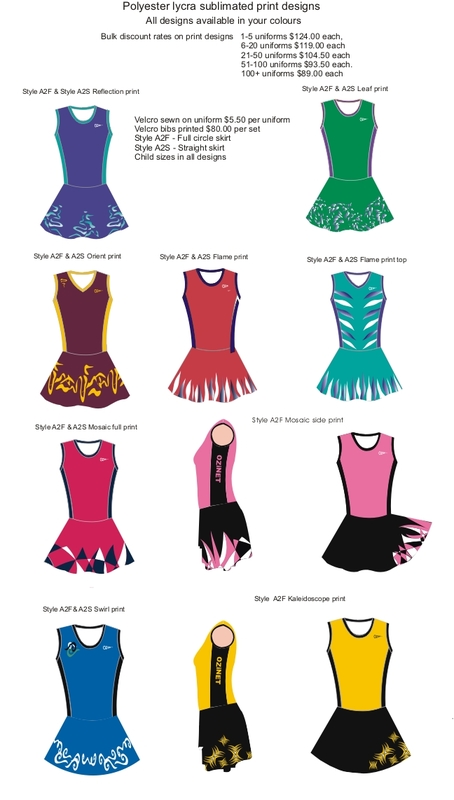 Any of our print designs in the web site can be adapted to be sublimated onto the netball bodysuit designs. We are now pleased to be using a velcro on our bibs that will minimise the damage to printed uniforms. There is nothing worse for us to hear that a uniform has been all but destroyed within 12 months from being purchased by velcro damage. Enquire about our new fully sublimated designs!